Amadeus shipped the beans in loosely sealed plastic bags. Watch out for the minimum order charge if you just get the sampler, like I did. Glenn at Amadeus has been a great resource for this article. This is “the” place to buy Uganda Planifolia vanilla beans. Their sampler pack is a great way to start your extract collection. A darker-smelling bean, very moist. The fragrance was warm and spicy, like cardamom, coffee, or incense, but also a bit chemical somehow. Very long and pretty beans, but not the strongest fragrance. These have the ‘classic’ vanilla aroma. Both the regular and super long varieties had plenty of caviar. The super longs are well cured, with a pliable but firm skin. Instructables member cdrivanova ordered the 1/4 lb sampler pack with the regular sized Madagascar beans, you can verify the quality of these beans in her Flickr photo set. 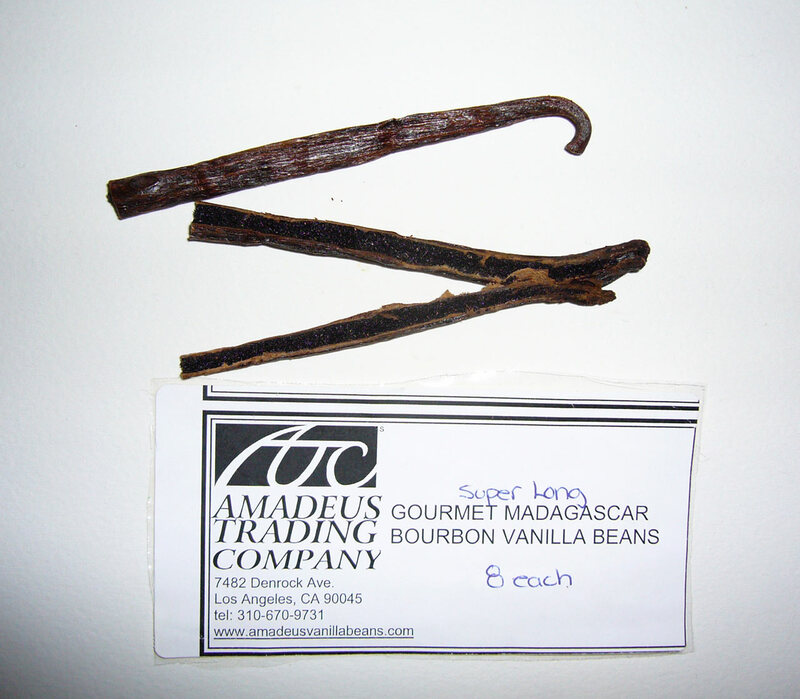 Glenn at Amadeus Trading sent me the Super Long beans to replace an order of regular sized beans that were short, dry, and stick-like (see Madagascar vanilla comparison). Amadeus acknowledged the problem and sent replacement beans. While there was nothing wrong with the original beans flavor-wise, they didn’t meet my (or Glenn’s) expectations for Grade A vanilla beans. While these were the next-smallest beans (after Madagascar) from Amadeus, their caviar yield was rather high. It smelled the most “vanilla-like” of all the beans, with a soft and velvety fragrance that made me think of ice cream, or some kind of skin lotion. The smell was decidedly creamy. This is my favorite (smelling) vanilla to date. “The organic grade 1 Bourbon beans we sell on our website are Uganda origin beans. So if you want to give those a try, you should get some impressive results. 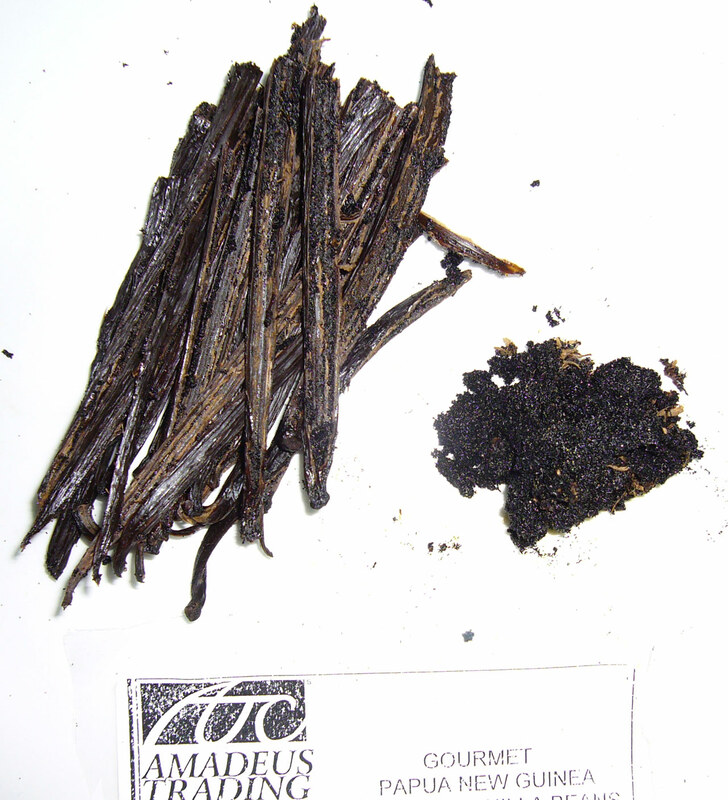 We have just had our latest shipment tested, and one supplier’s beans tested at .27% vanillin content — that’s extremely high (a good vanillin content for Madagascar beans is .17% – .19% — in past years we saw “really good” results as high as .19% – .21%. So these Uganda beans are really something!” Glenn Gottlieb, Amadeus Trading Company, e-mail, 22-DEC-2007. UPDATE: Instructables member pbwingman11 posted some pictures of the Uganda extract beans on flickr. well, I born from the commodities family from Indonesia (oil company), and years ago I was asked from my friend if I could help her get some vanillas to supply her cooking needs (it was rare here a few years ago). 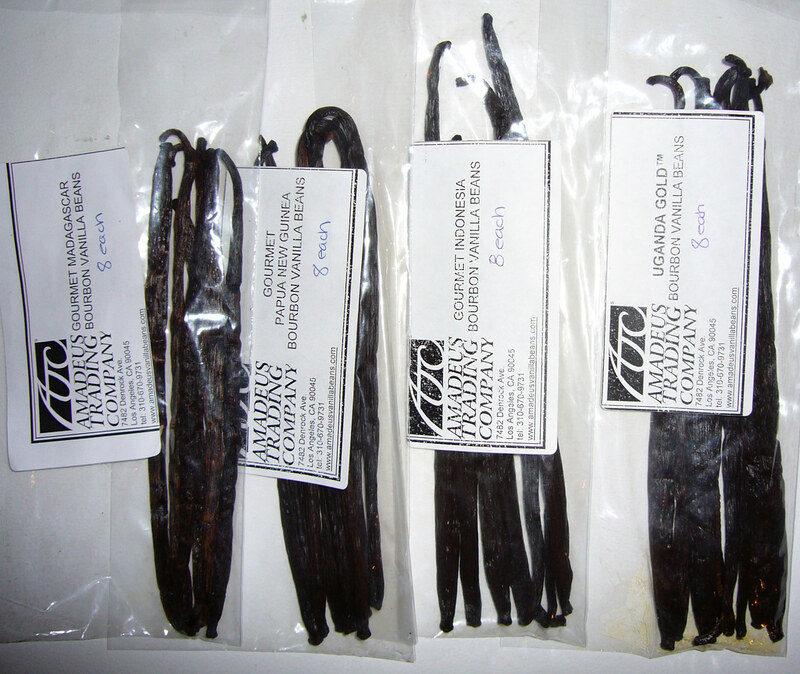 then I asked my dad if he has any, and he gave me two pound of an indonesian vanilla samples (they were asking my dad to invest on their farm). and I asked my dad why he aint interested in Vanilla business. He told me amazing stories why the Indonesian vanilla wont be at the top. The farmers send it to the central village, where the central village is the one curing it. to add the weight, they injected an alcohol. 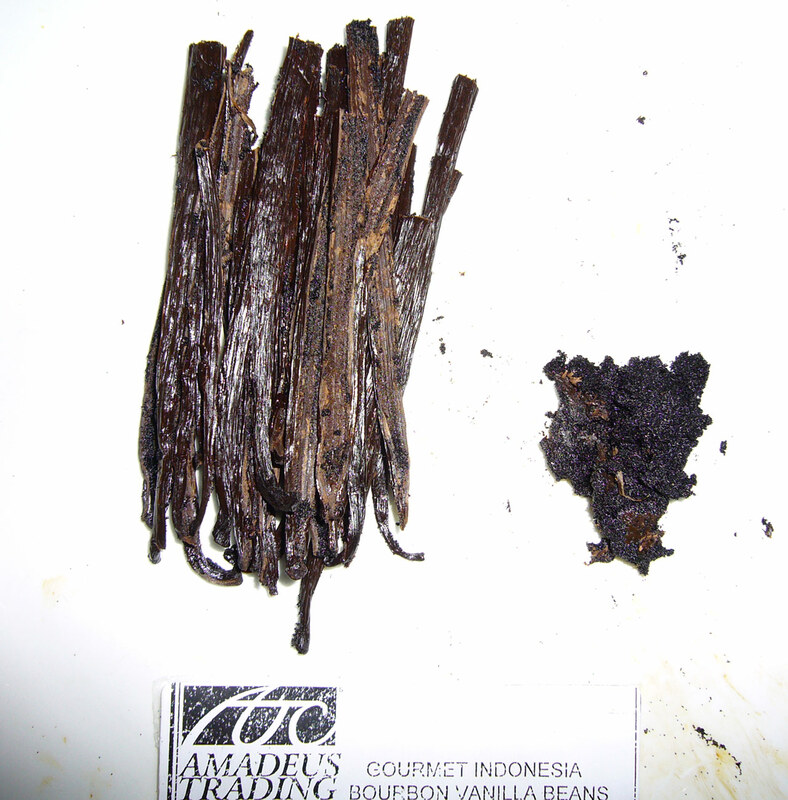 It was then rejected by the FDA (not sure when its happen) but then, then reputation of Indonesian vanilla sunk. 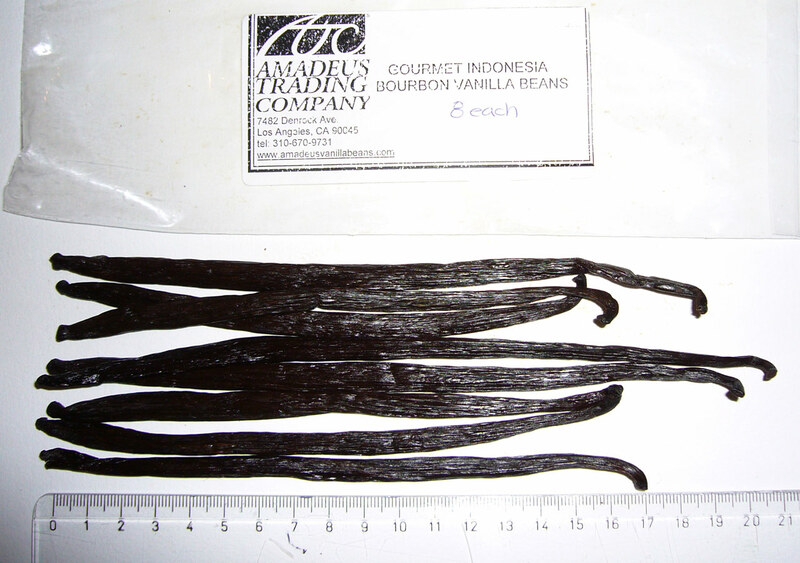 And none want to take the vanilla supply from Indonesia. thats why its not much here. 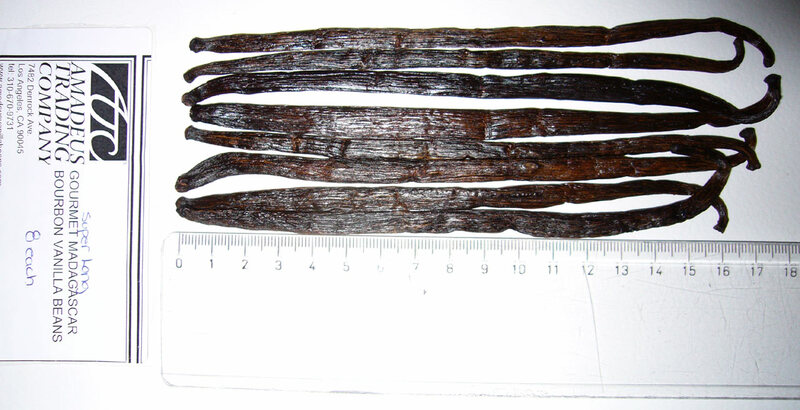 and there is only one or two vanillas farm in indonesia. when you say, there is a chemical smell, hmm. it makes me wonder, if they really injected an alcohol there. amazingly I just knew about the PNG, and my bestfriend live in PNG, he dont even know the PNG supplies the world vanillas business. It would seem that because you are a reviewer, you had a much better buying experience than I did. 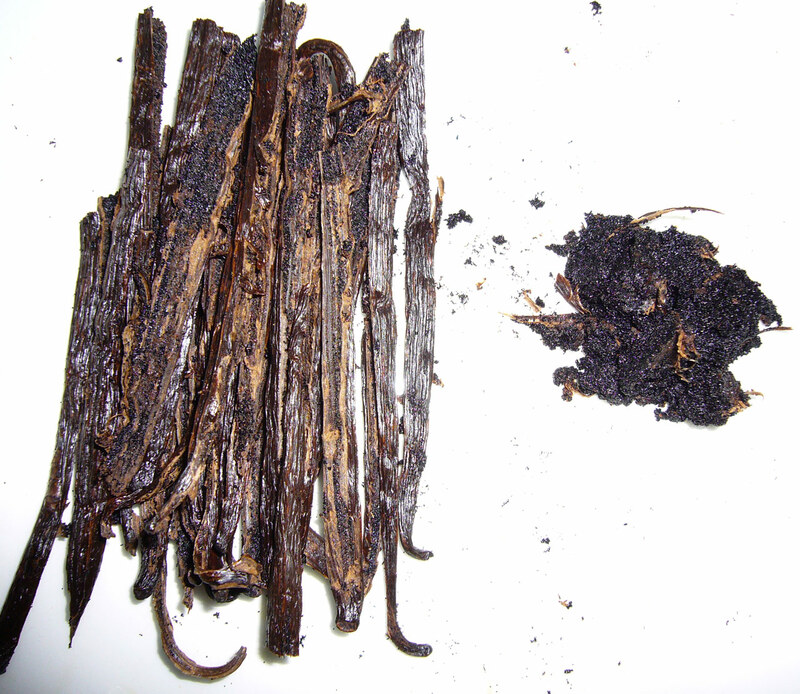 My vanilla beans arrived moldy with a horrible smell. The Glen person was rude and unhelpful, even after admitting that other customers had complained about getting bad beans from him as well. After a lot of back and forth on his part with a lot of double talk, I finally told him that I was returning them for a refund. He then instructed me to send them to another location for inspection before he would do anything about the issue. That is when I knew something was up and filed a claim with Paypal. Those of you who are not aware of Paypal rules, Paypal will only allow a refund of a returned item if you send the item back to the address it was shipped from. Should I have listened to Glen, I would have been SOL and Glen would have kept my money. Glen demanding I ship the product back (at my own expense) to someone else at a different address is a HUGE red flag. After his lack of acknowledgement and anything remotely close to customer service, I filed the claim with Paypal letting them know about the issue, and this Glen person wrote a reply steeped in lies making claims that I used half and that I never wanted to return the beans and wanted to keep the merchandise and the money. I am not even sure where he came up with his fables. I purchased 2 pounds of beans. One pound Madagascar and one pound Ugandan. The Ugandan beans were the ones that arrived improperly packaged, moldy, and stunk to high heaven so that I had to air out the room. Since those were the beans that were infected, those were the beans I opened the dispute for. But Glen, being the kind of person that he is, claimed that since I only wanted half the money back, that meant I used half the beans. I suppose if I were the dishonest person he is, I would have put in a claim for the total funds. I did not. 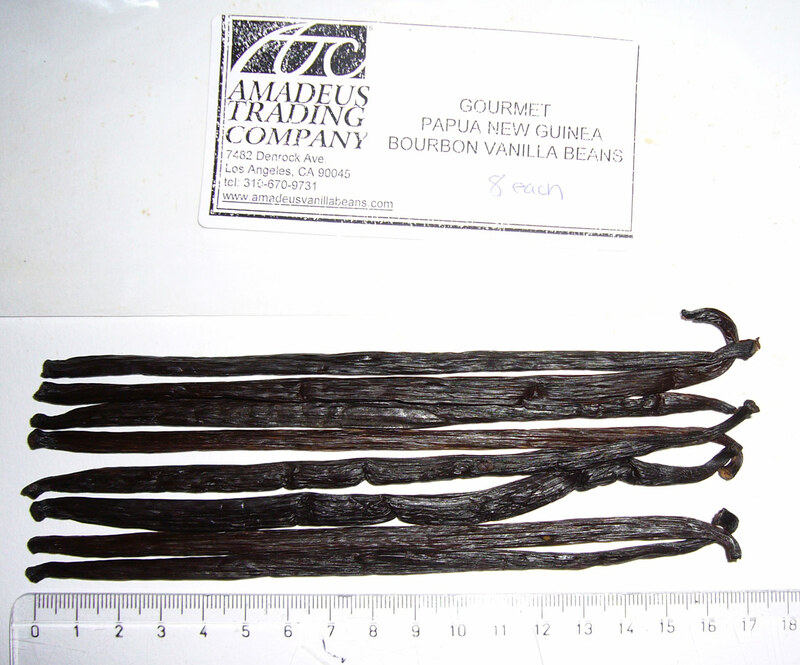 The reviewer of this company received beans that were not up to par and was immediately sent replacement vanilla beans, to keep up the appearance of good customer service. That is not the case for the rest of us. I did not receive subpar beans. I received infected and unusable beans. I would never buy from this company again and I urge others to run, don’t walk, to get their vanilla elsewhere. I purchased two and a half pounds of beans from Amadeus in mid December 2012. One and half pounds were Uganda Gold beans; the premium beans. 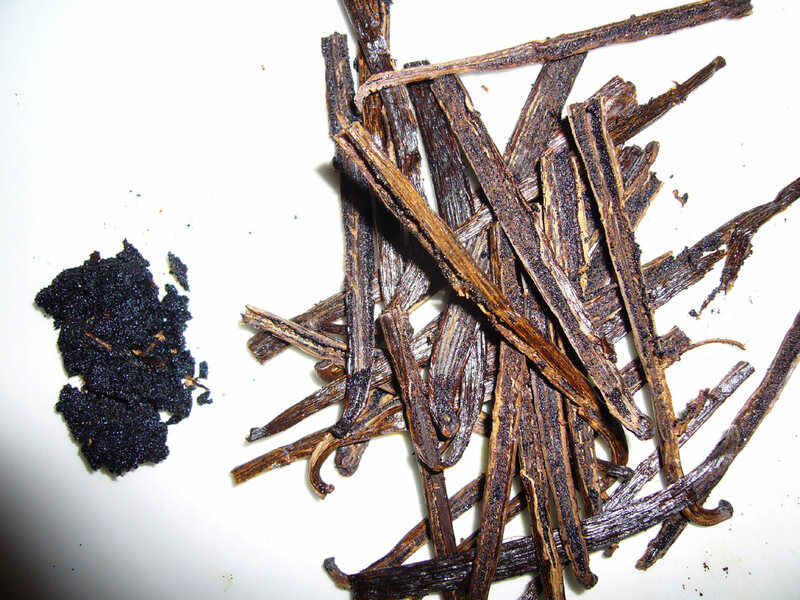 I keep vanilla beans in glass jars so that they do not dry into hard sticks over time. something that has happened in every plastic storage item I’ve ever tried. My previous purchase of beans was from Beanilla and their beans were superb and lasted almost three years stored this way. And I used them all up, every one made for great food! One month after receiving the premium Uganda Gold beans from Amadeus, I was horrified to see mold growing on the beans! Perhaps one third of the beans were growing a luxuriant gray hairy mold. So here I am rubbing mold off what were supposed to be cured grade A beans and are now grade c maybe not even extract beans. I despise the common practice of adding water to products! Where water used to be added as a salt cure, now it is difficult to find ‘fresh’ products that do not contain added water. Purchases by the pound are no bargain when there is extra unnecessary water weight. 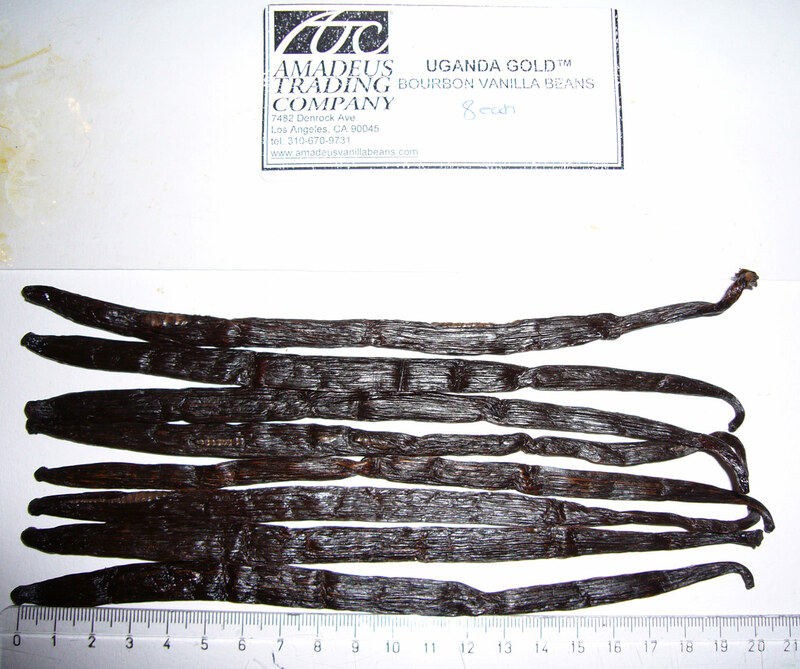 The Amadeus premium Uganda Gold beans are NOT OILY they’re damp!! 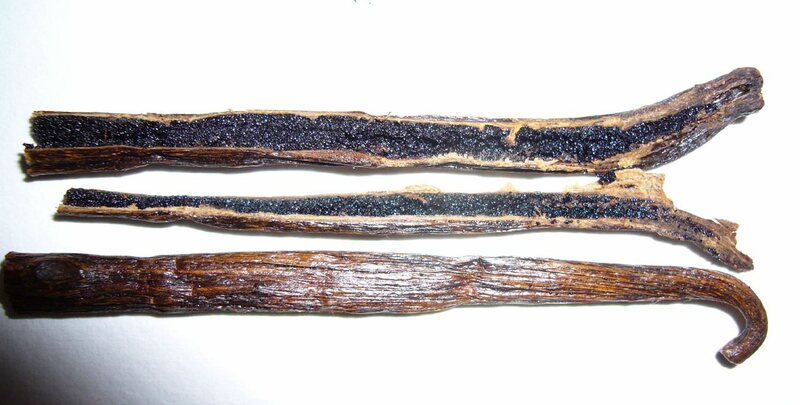 MOLDY VANILLA BEANS ARE NOT GOOD EATS!!! You got my money ONCE Amadeus! I will not purchase from you again and I strongly suggest that others avoid Amadeus! I have had a similar experience to TedK with the Ugandan beans I purchased in late Dec. I got a 3 X 1/4 pound packs – Ugandan, Madagascan, Papua New Guinea – and had them shipped to New Zealand. The quality of the beans was really good, particularly the Madagascan ones, but the Ugandan beans started to develop a hairy mold within a month. It has only happened to the Ugandan beans and the other packs I got are fine. I am keeping a close watch on my whole stock now and will see how things progress. Its a bit of a shame as they do taste pretty good and there is no one supplying anything close to them in NZ.